Today oral arguments were heard at the U.S. Court of Appeals for the Third Circuit in the matter of the Pennsylvania Prison Society vs. the Board of Pardons. 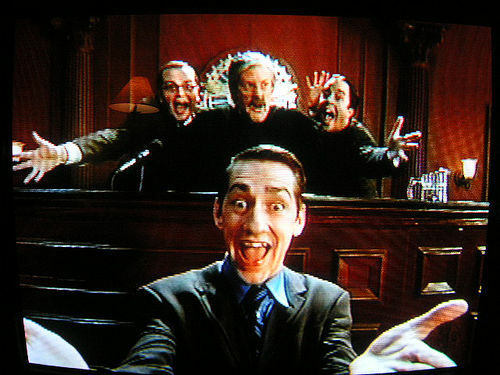 This lawsuit has been going on for 10 years now, so each step forward is welcome. The judges on the panel were Dolores K. Sloviter, Leonard Garth -- who joined the panel via teleconferencing -- and D. Brooks Smith. There was lively conversation and debate, particularly on the subject of standing, and whether this is a facial challenge. Judge Sloviter, in particular, repeatedly acknowledged that most prisoners never get commutation. This was her quick response when the Attorney General's representative argued that "not one of the plaintiffs have been negatively affected." Judge Sloviter replied that she doesn't know if they've been negatively affected; indeed, they must have been (and continue to be) if our argument is sound. Additionally, Judge Sloviter pointed to the change in number of commutations granted depending on past governors. "Under Gov. Shapp," she said, "there were many commutations granted. We don't know who will be the next governor ... 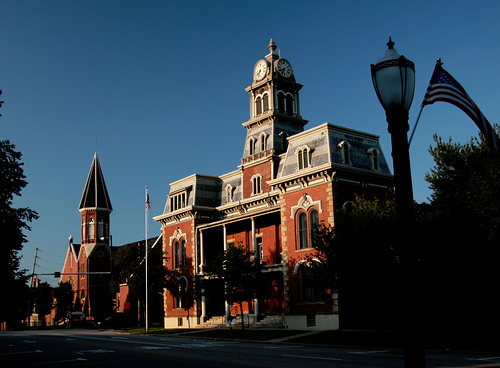 It takes a long time to get redress in Pennsylvania courts." Was it a win for the Prison Society? It's not clear yet, but we finished strong and made our case persuasively. We're cautiously optimistic and will give updates when we have more information. The summer 2007 issue of Correctional Forum is out today, and I think it looks quite lovely. 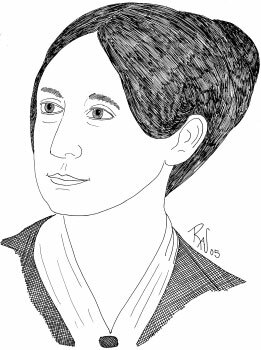 The featured quote is from Prison Society founding member Dorothea Dix (pictured in a line drawing from Culture of Peace) who wrote: "Man is not made better by being degraded. He is seldom restrained from crime by harsh measures, except the principle of fear predominates in his character; and then he is never made radically better for its influence." Sing it, sister. If you'd like to read CF, click here. Especially moving is a piece called "Hi! It's Me, Ada," by Janie Burd, one of our Official Visitors. I highly recommend it. We are sad to report a loss in the Prison Society "family" -- that of Jerry L. Mims, who was named our Prisoner of the Year at our 220th Annual Meeting. Jerry gave his acceptance speech via video, and greatly touched many in the audience with his words about giving to others and making a difference. The speech in its entirety can be read in the current issue of Graterfriends, but below are excerpts from the remarks made by PPS board member Joan Porter, a great friend of Jerry's and an Official Visitor at Graterford. Jerry has been incarcerated for 24 years and has accomplished more in those years than many people on the outside accomplish in a lifetime. He holds three undergraduate degrees and an associates degree—all of which he earned in prison. For 20 years he’s served as chairman of the Community Service Committee and as executive secretary and program developer of LIFERS, Inc. One of Jerry’s passions is helping other prisoners—especially young ones—prepare themselves for release. Jerry was instrumental in forming Graterford’s “End Violence Project,” which is the longest continuouslyrunning DOC program. He’s secretary for the Lifers Public Safety Initiatives and is a co-author of the published article “Ending the Culture of Street Crime.” Jerry served as Worship Leader for five years at the Protestant Church. He continues to work with faith-based organizations throughout the Delaware Valley, encouraging them to welcome transformed prisoners back into the community so they will have full access to continued worship. Other programs or initiatives Jerry helped develop include: The Master’s Children, The PhiladelphiaChristian Love Center, The Men’s Resource Center Support Group, Lifers Anti-Crime Summit and Youth at Risk Project, and The Drug Awareness Program. The list of accomplishments is indeed impressive, and we will miss Jerry's tenacity. 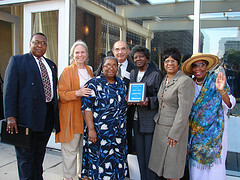 Pictured here are a group of his supporters, who accepted the award on his behalf. The new Graterfriends is on the metaphorical newsstands, and we're pretty excited about it. As always, it has a broad range of prisoner voices, as well as articles, news items, poetry, a death-row birthday list, county-based resources, facts and figures, legislative update, and ... and ... the fun never stops. Please click here to read it.